Second marriages are more common today than they’ve ever been. If, for whatever reason, you find yourself with one marriage a distant memory and another one seemingly approaching, what are the things you went through first time around that might apply today? Specifically, all that work that went into choosing the engagement ring. Is it necessary to do it all the same way, or are things different now? There’s no reason why starting a second engagement shouldn’t be as uplifting or as romantic as the first. The difference is that, usually, you are both older, wiser and probably a little less idealistic. But do the rules, such as they are, for buying and giving an engagement ring change at all? And not “nowhere”, as seems to be an increasingly popular opinion. First and foremost, there is absolutely no reason why you shouldn’t have an engagement ring for a second marriage. And nor should the wedding be any less spectacular. We’ve seen it said elsewhere, usually by people who think marriage is somehow an outdated tradition, that a second marriage should be almost a formality in the way it is done. No engagement ring, no gown, no dress suits, just as few people as possible in front of a judge. Written down, the words are almost as ridiculous as the thought that a second wedding shouldn’t be every bit as beautiful as the first. It’s your day, so do it the way you want. Etiquette is one of those things that some follow closely but which others find tedious and pointless. Fortunately, many previous rules around all manner of things have relaxed considerably in recent years. The rules surrounding engagement rings is one such area where some things have become much more relaxed. For a second marriage, what an engagement ring should look like hasn’t really changed from that for a first engagement. Engagement rings don’t age like clothing or wallpaper do. If it was beautiful 20 or 30 years ago, it will be beautiful now. Not to say you should use the same engagement ring, of course, just that a similar style is perfectly appropriate. 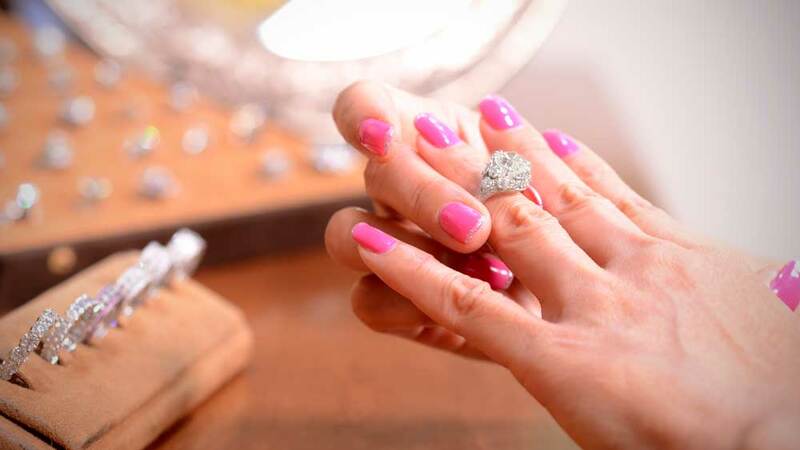 One thing about engagement rings (and wedding bands) that you should observe, though, is that it’s better to stop wearing them when embarking on a new engagement. 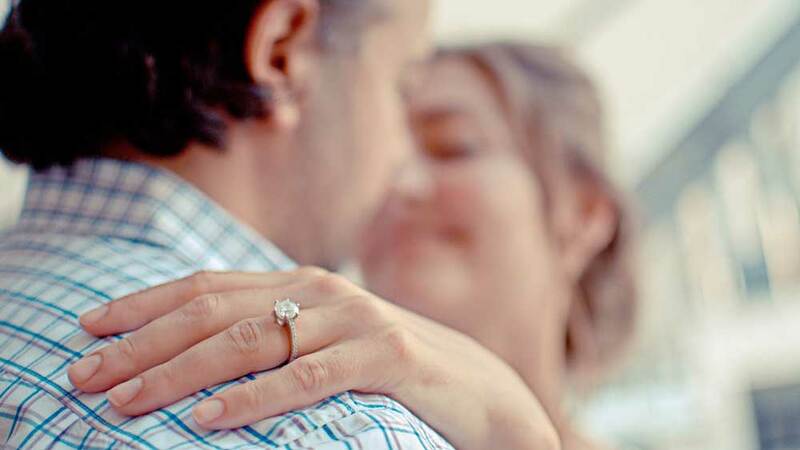 It may be that you first marriage ended due to the sad loss of a husband, but wearing your rings from that marriage might make your new partner slightly uncomfortable. Otherwise, go with what you know and like, and have a ball in the process. If you like it buy it, it’s nothing more complicated than that. There aren’t two separate ranges of engagement rings for first and second engagements. Don’t think that, because it’s a second engagement, diamonds are somehow overdoing things. 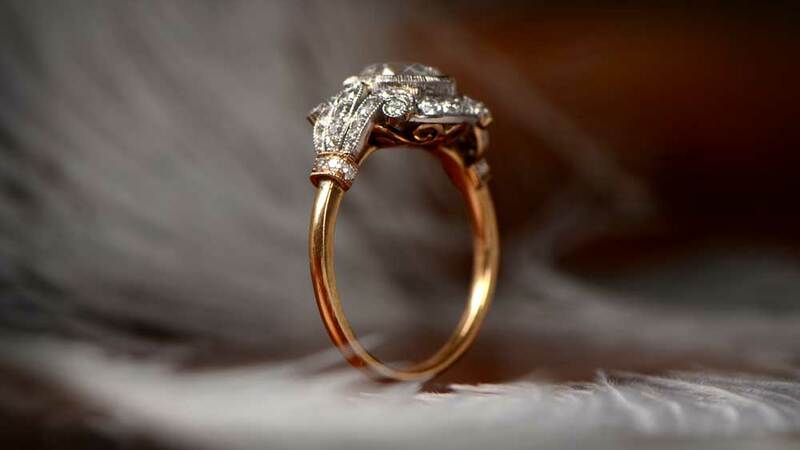 Engagement rings are beautiful things, and the people who design and make them want them to be worn. They don’t care if it isn’t your first engagement, they just want to be appreciated like anybody else. There’s no scale of what is appropriate for a first engagement and for a second. Now we’ve got our little rant out of the way, we can move on. Regardless of whether it’s a first, second or tenth marriage, this is one area which has changed a lot in recent decades. 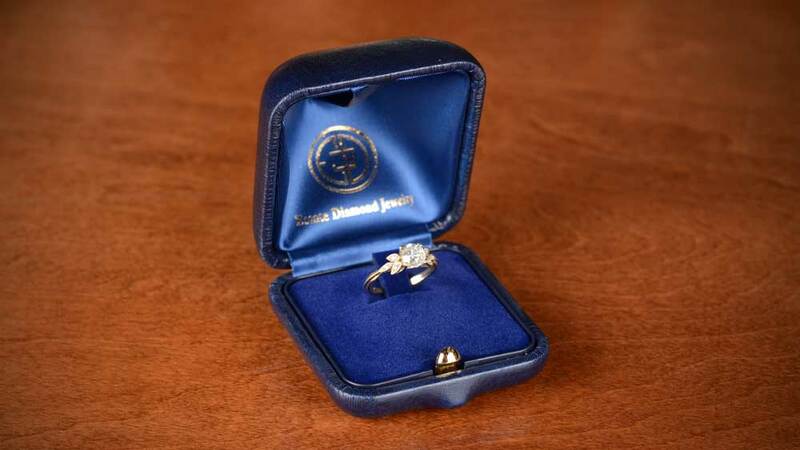 Today, the majority of engagement rings are chosen together and, in some cases, even paid for jointly. This immediately takes a lot of the guesswork out of choosing the ring. Whether you choose to pay for the ring together or not, and if this then allows for more to be spent, that’s entirely a personal decision. Etiquette of any kind doesn’t trump personal circumstances. This doesn’t mean the ring shouldn’t be a surprise, but you can use experience to your advantage. As we get older, most of us become more measured in our approach to life. And that includes choosing the things we buy. Being a little older also draws a different approach from others, so jewelers might be a little more attentive. However you choose to go about buying the ring, it’s still a magical and fantastically romantic thing to do. With a ring bought, everything gets a lot more real, so make it a wonderful occasion. The great thing about second marriages is that you now know all the things about marriage that you didn’t when starting the first. That includes what to do when buying a ring. If we assume that a ring has been bought amidst some sort of secrecy, we then need to consider the proposal. To start with, and just because it’s the right thing, do make sure that any previous marriage is fully dissolved. It’s not illegal, but proposing to someone who is married isn’t a great way to do it. Proposing whilst married yourself, well, we don’t even know where to start on that. This is one occasion when more paperwork is a good thing. We all like surprises, from the youngest child to the most senior adult. We might feign disinterest sometimes, but we’re always secretly thrilled that someone has taken the time do do that for us. It doesn’t matter how old we get, so don’t think your potential fiancée isn’t bothered about you making a real effort to propose. She may have favorite places, favorite walks, or just situations where she feels comfortable and secure. These are ideal for a proposal. It’s probably (though not definitely) past the time for flash mobs and elaborate schemes involving a cast of thousands, but that doesn’t mean the proposal shouldn’t be very special. It doesn’t need to be a one-knee occasion, although go for it if you know it is appropriate. Click here to view our list of proposal ideas. When you do present the ring, be confident. If you were confident enough to buy it on your own, then this should be a breeze. Really, it should. Buying the ring meant negotiating a minefield of potential problems, but proposing is that one step we all take to go some place new. In truth, as far as the ring itself goes, not a single thing changes between a first and second marriage. It is true that some of the processes you go through to reach the beginning of your new life together may be different, but they’re not different different. Choose your bride (in the best sense), chose the ring, choose how and where to propose. Above all, choose to do it your way. Are you looking to book an appointment at our New York Showroom. Click here to schedule an appointment at our showroom.